At Baldwin Legal Services PLLC, we represent clients in a wide variety of Social Security Disability matters at every stage of the process. Our Social Security Disability attorneys have a proven record of results. We handle cases at the application, reconsideration and hearing stage for Social Security Disability Insurance (SSDI) benefits and Supplemental Security Income (SSI) benefits. Experience: Our attorneys and staff have helped thousands of clients in SSDI and SSI claims. We know what the government looks for when awarding disability claims. Comprehensive Representation: Some Social Security Disability law firms focus only on appeals. We represent clients at all stages of the Social Security Disability claims process, from the initial application stage to the hearing stage. We help clients set up their initial application interviews, help clients complete claims examiner forms, prepare clients for hearings and represent clients at hearings. Direct Attorney Contact: Our social security disability attorneys at the Baldwin Legal Services PLLC go above and beyond for their clients, personally attending to every aspect of their cases from start to finish. Other Michigan disability lawyers employ legal assistants and paralegals to interact with their clients, but our clients deal exclusively with licensed Michigan attorneys at each stage of their case. Personal service: We work with our clients to answer their questions, help them understand the process and keep them focused on what has to be proved. 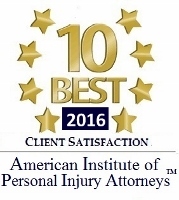 No Attorney Fee Unless You Win: We are committed to helping you get your Social Security Disability claim approved. That means, no out-of-pocket expenses for you. The Social Security Administration pays our fee directly if we win your case. 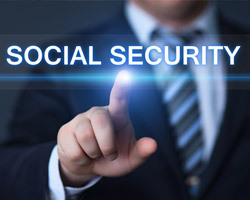 Why Hire a Social Security Lawyer? Social Security Disability benefits were designed to provide financial support to individuals who are unable to work due to a disability. The SSDA defines "disability" as a mental or physical impairment that is medically verifiable and that will either result in death or last for more than 12 months; disabilities impact the recipient's inability to work. The requirements for Social Security Disability payments depend on the person's individual circumstances and the type of aid sought. Individuals seeking SSI benefits must be both disabled and part of a low-income family, and need not have worked in the past (disabled children can receive SSI benefits if their parents fall below a certain income bracket). On the other hand, SSD benefits depend on the amount of time the disabled person has been in the workforce. Generally, younger workers must fulfill different requirements, and the government asks that claimants have worked at least five of the last ten years. The federal government's disability is strictly related to ability to perform paying work, not ability to find a job or regain employment after a period of illness. Medical proof, including clinical and laboratory findings, is required to prove your disability if you seek Social Security Disability payments. A Michigan disability lawyer at Baldwin Legal Services PLLC has the legal experience and resources to successfully protect your rights and help you obtain equitable SSI/SSD benefits. Our expert legislative teams have years of familiarity with social security disability claims, so we understand precisely what steps and information are necessary for a successful claim. If your case makes it to a hearing, you may need to appear in front of a judge and we’ll be right there by your side. Our disability lawyers have experience handling the particulars of many wide-ranging conditions, from mental disorders like bipolar and depression, to pain-inducing illnesses like fibromyalgia and arthritis. We understand that this is a challenging time, which is why we are committed to making sure proper medical evidence is provided for your application and that any appeals are filed within a timely manner. For a free consultation and to find out more about how we can help, call 877-886-1441. SSD/SSI cases are taken on a contingency fee basis. 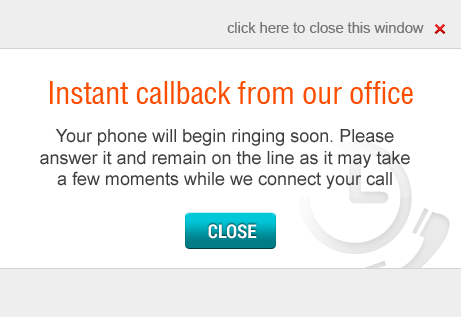 That means, no out-of-pocket expenses for you. The Social Security Administration pays our fee directly if we win your case.